16. Several elite fora, including the World Economic Forum, the Bilderberg Group and the Trilateral Commission, are used to facilitate planning, generation and exacerbation of the many ongoing wars, deepening exploitation within the global economy, environmental destruction and the refugee crisis, among other violent impacts. 17. Elite agents – including the judges and lawyers (who defend elite power using elite-designed and manipulated legal systems), corporate media editors and journalists, many entertainment industry personnel and academics, industry organizations (such as the European Round Table of Industrialists) that represent the interests of major corporations, so-called ‘think tanks’ (such as the Council on Foreign Relations and the Brookings Institution) and ‘philanthropic trusts’ (such as the Rockefeller, Carnegie and Ford foundations) – all function to defend, justify or divert attention from elite violence and exploitation. 18. Elite-directed national agencies – notably including those in the so-called ‘intelligence community’ (such as the US CIA, British MI6, Russian SVR RF, Chinese Ministry for State Security and Israeli Mossad) which perform elite functions in relation to spying, surveillance and secret assassinations (particularly of grassroots activists) – and their many lower-level servants (including those who work as political lobbyists or in the bureaucracy as well as those who work in the education, police and prison systems or the military forces) conduct many of the propaganda and other functions necessary to maintain elite social control and perpetrate elite violence. 40. All of the violent behaviours described above have their origin in adult violence against children: this violence generates the warped emotional and behavioural patterns that later manifest as adult violence in its many forms. See Why Violence? This Charter identifies eight aims of a nonviolent strategy to mobilize ordinary people, local groups, communities, non-government organizations and international networks opposed to these and other manifestations of human violence to explicitly renounce the use of violence themselves and to take nonviolent action to strategically resist this violence in all of its forms for the sake of humankind, future generations, all other species on Earth and the Earth itself. 4. To support the development and implementation of comprehensive nonviolent strategies for the liberation of Afghanistan, Bahrain, Brunei, Cambodia, Cameroon, Chad, China, Democratic Republic of Congo, Egypt, Equatorial Guinea, Eritrea, Ethiopia, French Polynesia, Iran, Iraq, Kanaky, the Mariana Islands, Myanmar, North Korea, Oman, Qatar, Palestine, Rwanda, Saudi Arabia, the Sudan, Syria, Tibet, Turkmenistan, United Arab Emirates, Uzbekistan, Western Sahara, West Papua and all other countries living under the yoke of occupation or dictatorship. 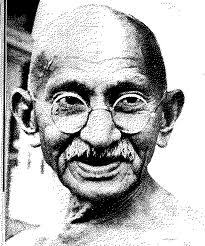 See The Strategy of Nonviolent Defense: A Gandhian Approach or Nonviolent Defense/Liberation Strategy. 5. To support the development and implementation of comprehensive nonviolent strategies to end violence in the home, slavery, the sexual trafficking of women and children, female genital mutilation, forced organ removal, the use of child soldiers, all manifestations of exploitation, all types of environmental destruction, wildlife trafficking, all forms of pollution, atmospheric geoengineering, industrial farming, medical and psychiatric violence, as well as the existence of terrorist and criminal organizations, drug cartels and cults. See Nonviolent Campaign Strategy. 7. To encourage the people of the industrialized world (except those already living in poverty) to each accept personal responsibility for reducing their consumption of global resources to a level that is commensurate with genuine equity for all human beings on Earth and the ecological carrying capacity of the Earth itself, particularly given the needs of other species. See The Flame Tree Project to Save Life on Earth. 8. To encourage all adults to understand the violence they (unconsciously) inflict on children and to take responsibility for ending this. See ‘My Promise to Children’. If you are committed to acting on this Charter, please add your name and country to the list of Charter participants here. If you need ideas to fulfill your pledge, please consult the websites and books cited in The People’s Charter. You are welcome to invite others to consider signing this Charter.